My Nook HD+ is ready for Spring! 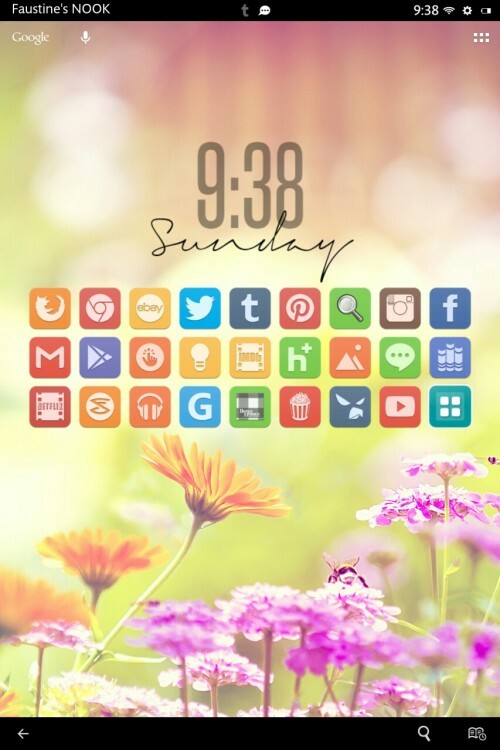 In My Setup: Apex Launcher with Trim icons icon set and some wallpaper I found online through Google Images. Clock is using UCCW with the Elegante skin.